Note: This article is an excerpt from chapter 13 of "Ancient Sunrise Henna for Hair" by Catherine Cartwright-Jones. Henna can completely eradicate head lice, even infestations resistant to anti-louse treatments. Head lice (Pediculus humanus capitis) have been itchy, contagious pests annoying humans for millennia, living in people’s hair and sucking their blood. Henna will kill head lice! One application of henna paste to the hair can kill head lice as well as killing the nits and nymphs without resorting to chemical treatments or shaving the head. To kill head lice, eggs, and nymphs, use laboratory certified pure henna with high lawsone content such as Ancient Sunrise® Rajasthani Twilight that is guaranteed to have no impurities or additives. Do not use pre-mixed henna products that appear to be used for body art; these products may contain little or no henna, and may contain hazardous ingredients. Lice spread rapidly among school children during the winter because of physical contact during play and naps. 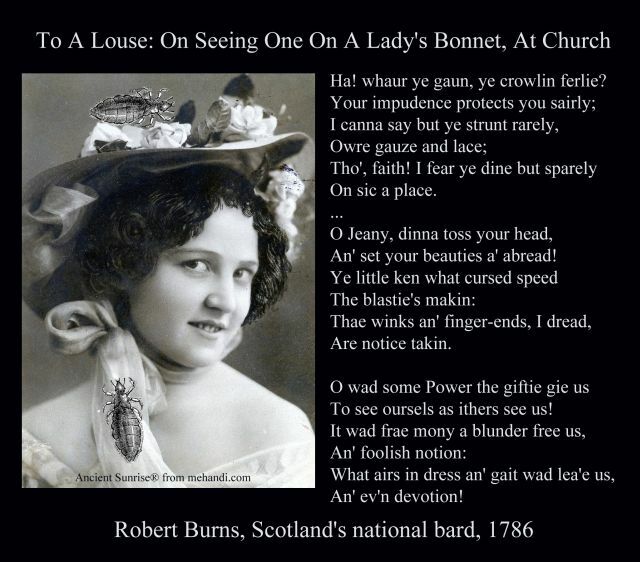 Lice also spread, though less often, through sharing caps, combs, scarves, helmets, and jackets. Lice cannot fly, but they can crawl quickly from one person or piece of clothing to another. Lice are increasingly resistant to head lice medicines, and even with frequent applications. Head lice populations have increased since the 1960’s and now infest hundreds of millions of people worldwide. (1) Head lice lay eggs on the shafts of hair. (2) Once established in a household, school, or village, head lice are stubbornly resistant to eradication even with strong chemical remedies because they can live for two days in bedding, hair brushes, and clothing. Lice spread when people are in close, friendly contact, grooming, dressing, and sleeping near each other. One application of henna paste to the hair can kill head lice, (3) will kill the eggs as it does for other insect pests, (4, 5, 6) and nymphs without resorting to chemical treatments or shaving the head. Head lice lay eggs on the shafts of hair. Lice spread when people are in close, friendly contact, grooming, dressing, and sleeping near each other. 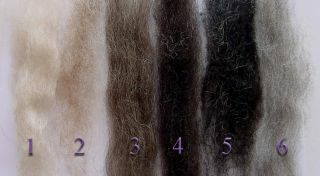 If you wish to use henna for eradicating lice, read Ancient Sunrise® Chapter 7, “Mixing and Testing your Henna Mix” http://www.tapdancinglizard.com/AS_henna_for_hair... . If the person has brunette or brown hair, there will be little color change from henna. If the person has blonde or light colored hair, henna will dye the hair red. You will need to make a decision about whether to proceed with henna based on whether or not becoming a redhead is desirable. Mix and test henna on hair to see if the results are suitable: henna that is of high enough quality to kill lice is also high enough quality to dye hair permanently. 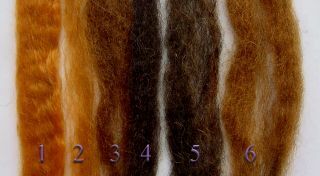 The color changes in hair will be similar to those shown in the following pictures of hair before and after being dyed with henna. When you have prepared your henna paste according to the instructions in Chapter 7, apply the paste according to instructions in Ancient Sunrise® Chapter 8, “How to Henna Your Hair” http://www.tapdancinglizard.com/AS_henna_for_hair... . Wrap the hair in plastic wrap and leave the henna paste in the hair for at least four hours, then shampoo the paste out of the hair. The dead lice, nits, and nymphs will rinse out with the henna. Henna combined with fenugreek will kill head lice even in resistant infestations. 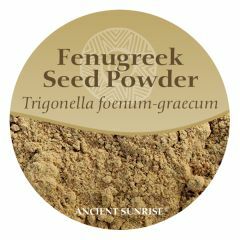 Add 25g of Ancient Sunrise® Artemisia or Ancient Sunrise® Fenugreek per 100g of Ancient Sunrise® henna before adding the mildly acidic liquid to make henna paste for application to hair. 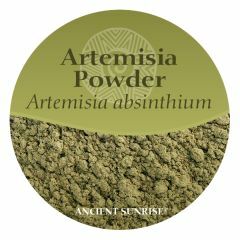 A mixture of artemisia and henna is the most effective against head lice, but artemisia should not be used on children, pregnant or nursing woman. You will not need to reapply the henna unless there is a new infestation. If you also had dandruff or ringworm, henna should eliminate those from the scalp as well. Henna is an excellent anti-fungal that will penetrate the outermost layer of the scalp and rid the skin of even stubborn dandruff and ringworm that may be resistant to medicinal shampoos and ointments. Do not use henna on a child with homozygous G6PD deficiency: http://www.hennapage.com/henna/encyclopedia/medic... . G6PD deficiency is an inherited genetic disorder; if there is a history of G6PD deficiency in a family, ask a doctor to do a blood test on the child before applying henna. 1 Gratz, N. (1998). "Human lice, their prevalence and resistance to insecticides.". Geneva: World Health Organization (WHO). 2 Buxton, Patrick A. (1947). "The biology of Pediculus humanus". The Louse; an account of the lice which infest man, their medical importance and control (2nd ed.). London: Edward Arnold. pp. 24–72.